Aileen Dagrosa was named the team's general counsel in 2010 after originally joining the Philadelphia Eagles in November 2007 as director of legal affairs. Dagrosa provides legal advice to each department of the organization and works with senior management to discuss legal issues impacting the company. She reviews and drafts all of the company's contractual obligations involving the business and football team. Prior to joining the Eagles, Dagrosa worked as a corporate associate at Proskauer Rose LLP in New York.  She participated in private equity buyouts, mergers and acquisitions, and sports financing acquisitions. Her clients included the Philadelphia Eagles, New York Jets, National Basketball Association, New Jersey Devils, Orlando Magic, Towers Perrin, and Veronis Suhler Stevenson. Dagrosa is licensed to practice law in New York and in-house in Pennsylvania, and is a member of the Sports Lawyers Association. She earned a B.A. in psychology from Yale University and a J.D. with a certificate in sports law from Tulane Law School. Dagrosa also currently serves as the President of the Yale Volleyball Association and is on the Board of Advisors for the Jeffrey S. Moorad Center for the Study of Sports Law at Villanova University School of Law. Additionally, she is on the Alumni Board of Advisors for the Tulane Law School Sports Law Program.